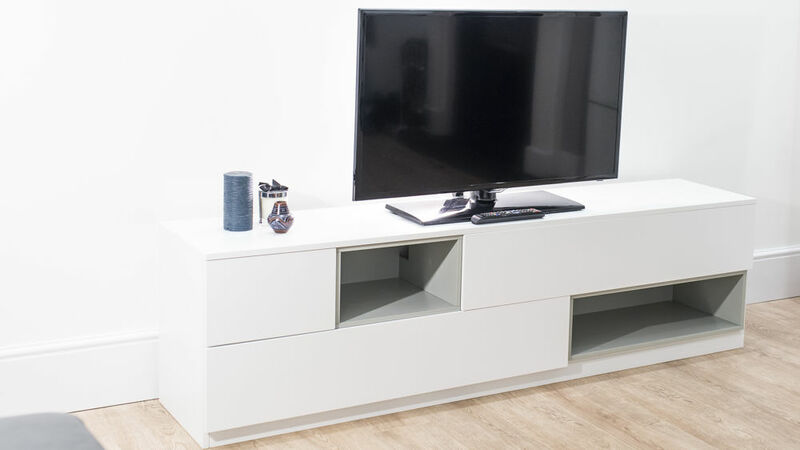 Add a modern, sleek and designer looking piece to your living area with our Emilia White Oak TV Unit. 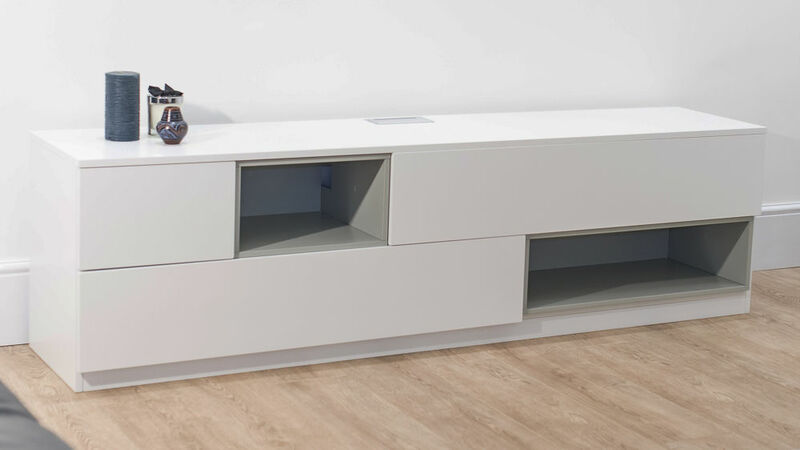 Doubling up as both a storage unit and a TV stand, the Emilia is both a practical and stylish solution for any style of interior. 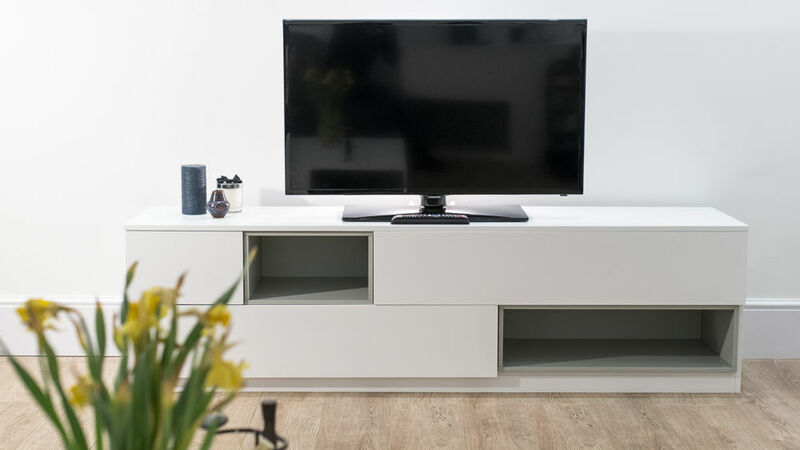 At 50cm in height, 180cm in width and 39.5cm in depth, the Emilia White Oak TV Unit is able to store and display a range of items, without looking too bulky or overpowering in your living space. 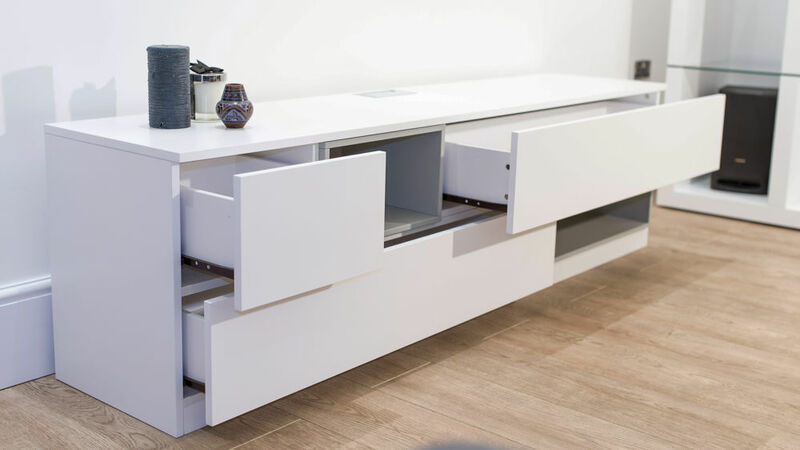 The Emilia is finished in an oak white veneer, with 2 contrasting grey oak display areas. 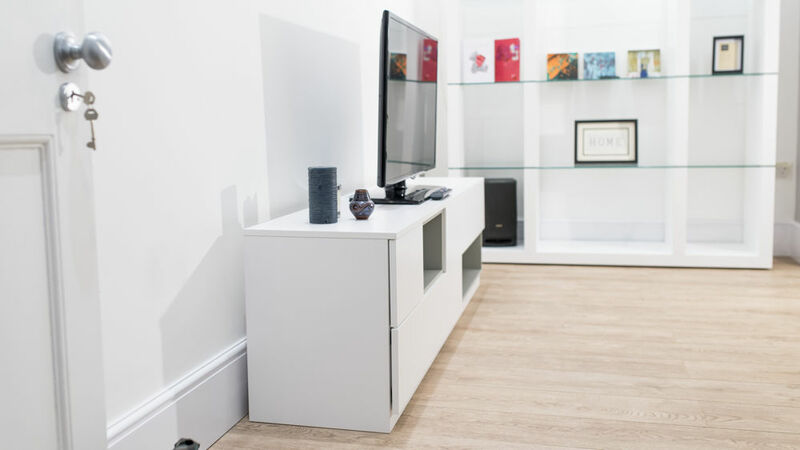 This is a great design feature as it adds a subtle hint of colour and warmth to the white oak, while also allowing you to put your favourite ornaments, TV box or family photos on display. 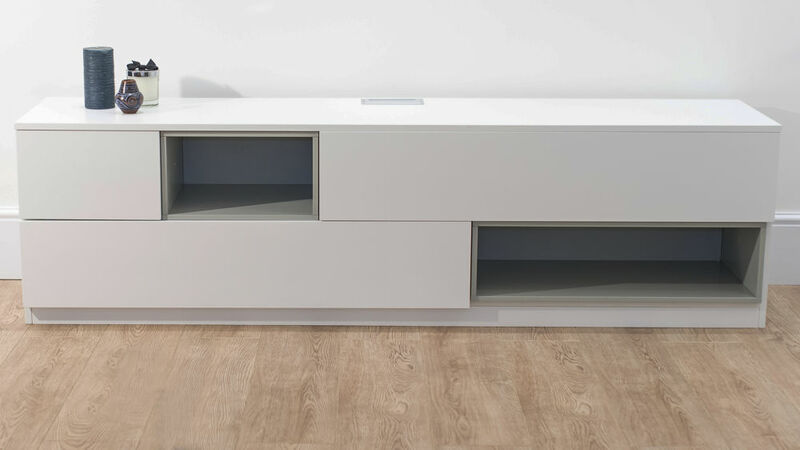 This modern TV unit has plenty of storage space, with 2 large draws and 1 small draw. This means you can store a whole variety of miscellaneous items out of view. 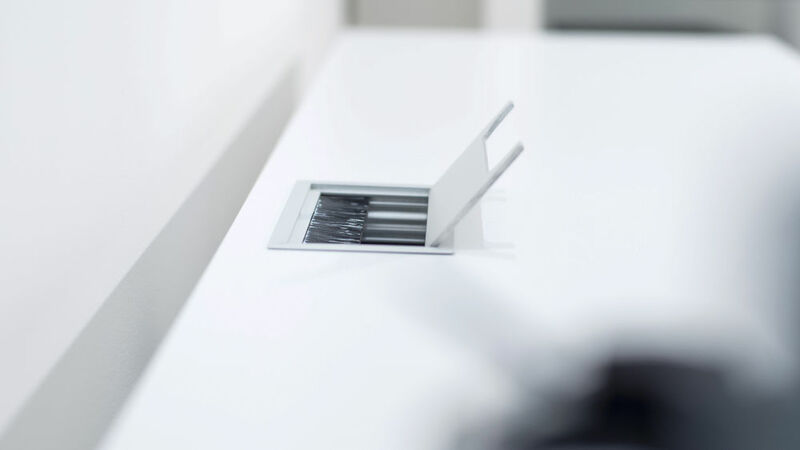 The drawers of this Emilia unit open and close using a soft push mechanism. This adds to the luxurious feel of this tv unit, while also keeping the front looking sleek, streamlined and uninterrupted by handles. There is a handy cable hole at the back of the unit which can be thread through to the display section ready for use. This makes the unit very practical for electrical equipment and very easy to use. The feed hole at the back of the unit also has soft bristles. This is to protect your cables. This contemporary Emilia White Oak TV Unit is part of the Emilia family of gorgeous white oak veneer furniture. If you'd like to create a coordinated and seamless look throughout your home, we suggest looking at the Emilia White Oak Large Coffee Table or the Emilia White Oak Dining Table.